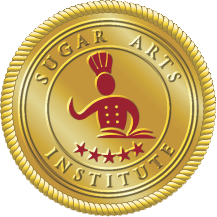 About Us - Sugar Arts Institute: Cake Decorating Classes, Receptions, Functions. Julie Bashore, Master Confectioner, and winner of The Ultimate Cake-Off Challenge on the TLC network, is a native of England who has an award winning, thirty-year background in Culinary and Confectionery Arts. Julie has taught courses and demonstrated at conventions in England, Ireland, France, Germany, Switzerland, Mexico, USA, Zimbabwe, Nigeria, Australia, New Zealand, Hong Kong, Costa Rica and Vietnam. Julie studied at Le Cordon Bleu in Salisbury Rhodesia; studied and taught at Fabilo International School of Confection in Lucerne, Switzerland; was accredited to the Swiss Chef’s Association and taught at Butler’s Wharf Chef’s School in London, England. Julie has worked extensively throughout the United States creating cake programmes and training cake decorators at in-store, retail and specialised bakeries. Julie has written numerous articles for Modern Baking, American Cake Decorating and for the Retail Bakers Association of America. Julie Bashore founded Epicurean Cuisine a catering business and culinary arts school in Harare, Zimbabwe. Julie catered for Embassies, High Commissions and functions up to 3000 people. Julie also founded The House of Clarendon in Lancaster Pa. a bakery specializing in custom designed Rolled Fondant wedding and special occasion cakes. Julie Bashore, founder and owner of Sugar Arts Institute, offers classes for the professional and hobbyist, in all aspects of cake decorating and sugar art classes, including "rolled fondant; creative piping in buttercream & royal icing; gum paste flowers; pastillage for 3D edible cake top decorations; edible critters and figurines; blown and pulled sugar; Sugar Lace; chocolate pralines and chocolate show displays; 3D cake carvings; plated desserts; and party hors d'oeuvres"
In addition, Julie and SAI instructors host fun-filled, hands-on cake decorating and culinary classes for the Kids Academy. Look at our calendar for upcoming "hands-on" classes. The best way to learn is to do it yourself with interactive instruction. You will be taught step by step, learning easier techniques and shortcuts to develop efficient and time-saving cake decorating and sugar art skills.